What is it that you don’t like about standard season-long fantasy football? I would say there are a lot of things that are kind of silly and lend themselves too much to blind luck. The first is league roster settings. The overwhelming majority of them have 10 teams with 1 QB, 2 RB, 2 WR, 1 TE, 1 Flex, 1 K, 1 D/ST, and then a 7 man bench. ESPN’s default settings also have maximums at each position of 4 QB, 8 RB, 8 WR, 3 TE, 3 K, 3 D/ST. Now let’s do a little simple math. To start, based on these settings you can only carry a total of 16 players altogether. Then the total roster maximums add up to 29 (I realize that there are augmented styles being used in other leagues out there, but the overwhelming majority are using this type of basis for league construction). Why would you have the position limits at 8 for RB and 8 for WR? Why have 29 as the total maximum when you can only carry 16? What does this lend itself to? Why are the limits important? The reason I raise these questions is because if there is no uniformity between the roster settings, the league’s depth in regards to owners, the league’s depth in regards to player usability, and the scoring formula, then what you have is a system that is ripe for statistical arbitrage. On top of that, the majority of these leagues will have issues with participation as the season progresses (Dead Owners). They are missing a parity approach, which would eliminate the dead owner issue. Without some semblance of uniformity, the league will lend itself to more luck driven results, dead beat owners, and the opportunity for statistical arbitrage. What I mean when I say “statistical arbitrage” is finding ways to manipulate your score and your team’s roster that has zero to do with your football (Baseball and Basketball as well) knowledge, forecasting ability, drafting ability, and prognosticating day-to-day or week to week match up plays. How you design what is called a “true” competition is leveling the playing field to the point where none of the above stated issues exist. You can only do so by creating the opportunity for loss as well as gain within the individual players score. You can’t have a true competition without the risk of loss, and you cannot call a match up play a decision if there is either no risk or the risk of a loss correlated with the opportunity for gain is askew. Simply put, your player’s score needs to have very close to equal opportunity to move forward and backward. If this is not there, then you have more of a simulation, which is a less skillful competition. The majority of football leagues lack a proper scoring model that incorporates a “true” value for great football players on both sides of the ball. The standard scoring model is majorly flawed. The offset between positive and negative plays is atrocious, as I stated in the previous paragraph. In regards to a lot of analysts, they are prognosticating results from offensive players based on standard set ups (or slightly augmented), which really include no defense at all. How could you trust their judgement? There are not nearly enough games played for the armchair analyst to use team defense totals while making a match up play, or the lazy approach of going based on last year’s defensive results when drafting. You can’t even begin to consider team defense totals until you get to right about the halfway point of the season, and even then using those to figure out whether your offensive player will have a good day is still dependent upon individual player match ups, the scheme the opposing defense will be running, injured/hobbled players, field conditions, weather, etc. The point is if you don’t understand the defensive side of the ball, then you are giving nothing but lip service. There is only one thing you should be using as your decision’s basis, and that is opportunity. A fundamental understanding of real football coupled with seeking opportunity will get you further than every other piece of analysis. Number analysis should be deployed only after understanding the fundamentals of real football (schemes) and opportunity. Lets take a look at a basic scoring logic used in most leagues. In most leagues an interception is -1 or -2, and a passing TD is 4 or 6. That makes absolutely no sense at all. Now, singling out one number from a scoring model and picking it apart is not the idea here, not to mention it’s kind of dumb. Think of a scoring model as a linear equation that is simplified with a final result. I am simply using a part of the scoring system as an example of faulty logic, as well as how it’s minimizing the “risk” of a match up play, which is one of the biggest skills in fantasy football. My point is that as football connoisseurs we all know that the most important stat during the game (besides the actual score) is turnovers. Can you hold on to the football? If you don’t, then you lose the contest almost 100% of the time. There are, of course, anomalies when it comes to that last statement, but by and large it is the standard. I have heard the argument that you can’t predict turnovers, so that’s why it should be lower. That is total nonsense. Opportunity is how you can estimate turnovers coupled with the opposing team’s defensive scheme, and understanding the offensive players propensity to take more or less risk than his counterparts (Understanding defensive and offensive schemes is by far the most important thing to understand). Can you always predict turnovers? No. Can you always predict a rushing TD? No. This is as basic as it gets, however, and I haven’t even mentioned a statistic backing up my assertions yet, because it’s not necessary. Common sense in everything we do in life should be leaned on, including in fantasy football. I could go on forever discussing the many internal illogical formulas floating around out there. A lot of “football fans” don’t play fantasy football, because it’s missing the real football principles. What we have achieved in the past nine years in Major League Fantasy Football is uniformity, and “real” football principles are baked into the cake. We have the best of both worlds. 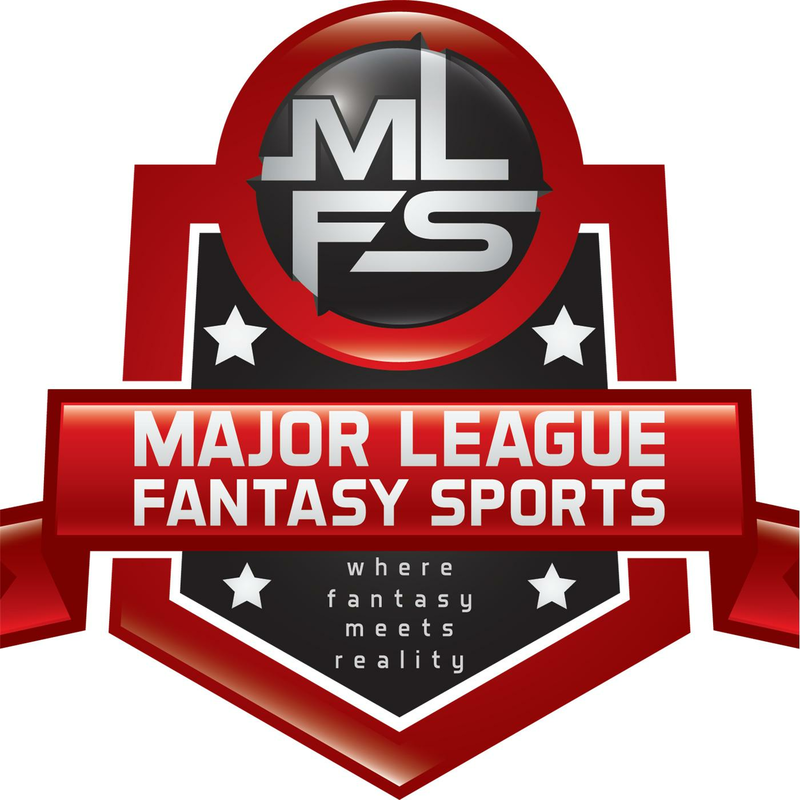 If you love the movement in a daily fantasy league, then we are a good spot for your season-long league. We don’t have rosters turnover like crazy, but the system was designed for activity, so there are opportunities every week. You win those DFS contests, not by picking all the big name players, but by finding a bargain or value. The same principle is here. If you are someone who likes to draft your team, manage it, and not get involved in much movement on the wire, then we are also a fit for you. That strategy has won some leagues, and so has the other. The amount of flexibility of true football strategy is pretty attractive to a person searching for a new challenge, or something with more substance. We use an 11 man IDP system that is scored to reward the impact plays that win or lose real football games. The tackle-heavy system used in other IDP formats is completely flawed. I would rather have a guy on my real football team give me five solo tackles and a forced fumble, than a player that racked up 12 solo tackles in a game when his team is losing in a blow out 35-0. If you are on the team that is getting blown out, it stands to reason that you will have more opportunity to rack up hollow tackles, considering you will be on the field longer (which is a negative impact for the actual football team). In a tackle-heavy formula it makes more sense to take players from teams with bad offenses, seeing the opportunity rises for the defense to be on the field. In our system we have both concepts available, leaning more towards true football logic. That means you want the good players on good overall teams, and not just good players on bad teams. The defensive side of the game is my favorite feature in ALL our fantasy sports leagues. One last complaint I have about fantasy football in today’s world is there are a lot of season-long leagues out there that are removing the defense/special teams altogether, and kickers as well. I just don’t get this. The word “football” should be removed from any league structured like that. Now, I realize there are many ways to play, but I think it’s going too far in the wrong direction. In these leagues, 2/3rds of the game of football is removed. Sigh. To be blunt, this is in no way lending itself to “fantasy football,” or “football.” It’s more like fantasy flag football with no one on the other side of the field. What we have truly achieved with our “complex looking” scoring formula is simplicity. The best part is our formula speaks to every single football fan, along with your hardened fantasy football pro and DFS player. Offense, Defense, and Special Teams are the three main components to football. All three are needed to win games, and all three are needed here. To put it plainly, If you love football and you love fantasy football, then you will have a blast playing in these leagues. The excitement in facing off against your opponent in a tight match up on Monday in which you have the starting QB, and your opponent has the opposing CB and LB is beyond entertaining. Playing in one of our formats will also ratchet up your knowledge level, and make you a better season-long owner and DFS player for sure. If I were a season-long owner or a DFS player who also plays season-long leagues, I would strongly consider using our leagues as a helpful tool to having more success elsewhere. programmers, radio personalities, recent college grads, and a few college students. A well-rounded community indeed, our main focus is the community itself. I can think of nothing more important than comradery, communication, and rivalry when it comes to fantasy. The first step is to leave some contact information in the contact form including your name, phone number, email address, and if you have your own website. The information comes directly to me, so no one on the web will see it. In the comment section, just list some basic info about yourself and the best time to contact you. A phone interview will be required, so we can prove that you are a real person. I am looking forward to hearing from anyone interested or anyone who has a debatable comment (which you can leave in the reply section under the article). My phone number is listed below, so feel free to reach out anytime as well.